2. QRP Labs shipment backlog cleared! 3. QRP Labs at Dayton FDIM and Hamvention, 17-20th May! 4. 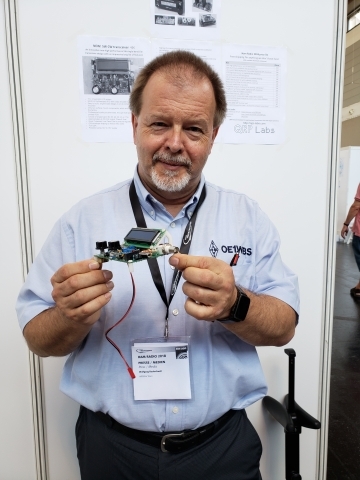 QRP Labs at Friedrichshafen Hamfest, 1st-3rd June! Markus DL6YYM of BaMaTech Precision Engineering http://www.shop.bamatech.de/ has designed and produced a smart aluminium enclosure for the QCX 5W CW transceiver kit http://qrp-labs.com/qcx. For more details of the enclosure see http://qrp-labs.com/qcxcase. This enclosure kit has been popular since it became available at the end of May 2018, already we have shipped 550 of these. This enclosure kit includes all mounting hardware, rubber feet, and extenders for the rotary encoder, gain control and buttons. The panel is drilled, cut and printed for the QCX CW transceiver. 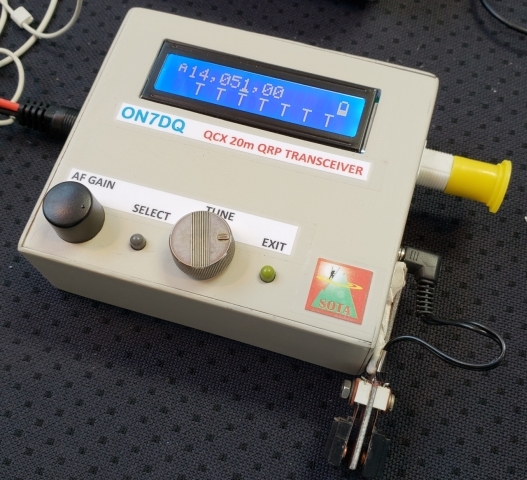 The QCX CW transceiver must be built exactly as per the standard QCX assembly instructions, with all original controls and connectors board-mounted. The price is $37 plus $8 for international shipping with tracking code. If you order at the same time as a QCX kit or other QRP Labs kits the shipping costs are combined as usual. 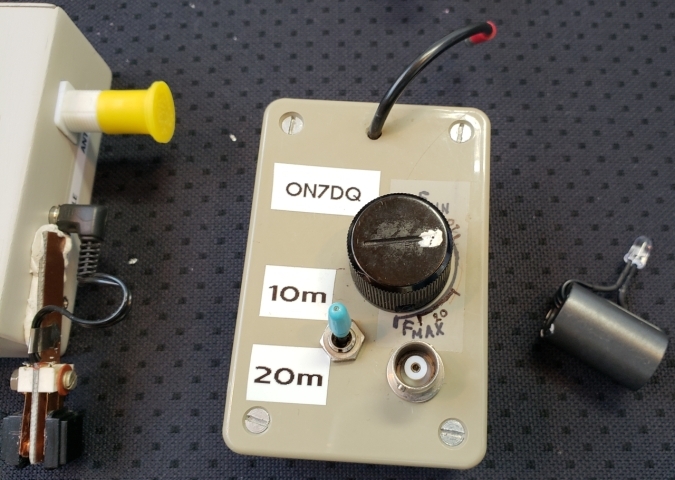 This German-designed and produced enclosure may be ordered in the QRP Labs shop at http://shop.qrp-labs.com/qcxcase - at the moment we are waiting for more stock to arrive from the manufacturer, which should arrive in early August. Most of the German orders were rejected by customs and returned to us, or simply disappeared in some cases. All other countries were fine. We have resolved this problem by purchasing a laser printer and producing an improved label on the packages. Since this change at the beginning of June we have not heard of any German customers being charged any taxes, or having their packages rejected. So the problem is solved! But it meant a lot of re-shipment of the returned packages, which reduced our capability to fight the pending orders backlog. The entire most recent batch of 1,000 manufactured QLG1 GPS receiver kits were found to have faulty firmware in the GPS engine chip, a chip manufacturer error. More on this, below. Unfortunately 182 of the defective GPS kits had already been shipped, so we had to contact everyone and ship them a replacement unit. Again it consumed a lot of time (not to mention money). 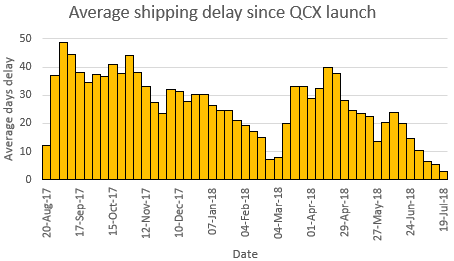 The chart (right) shows my statistics on the average delay between order placement, and order shipment, since the launch of the QCX 5W CW transceiver kit on 21st August 2017. Although the delay was almost eliminated by around March 2018, in my view the shipment operations had become unsustainable, expensive and error-prone - which was why the decision was taken to relocate the shipment operations and hire a full-time person to manage the shipments. It took about 2 months to get the kit stock shipped from Japan, finally arriving 14-May-2018. Going forward we will stop sending a serial number notification email for QCX kit orders. However since a lot of people like the serial number, we will include a label showing the serial number of your kit, with your kit shipment. From now, we aim to ship all orders within 1 business day of the order placement. 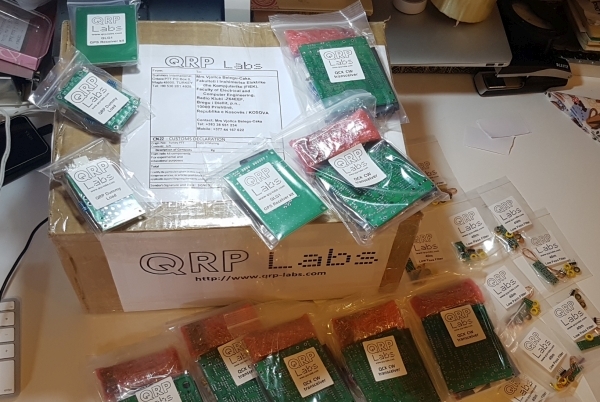 All QRP Labs kits are in stock, with the exception of the new QCX enclosure, which has been in heavy demand; we are waiting for more stock from the manufacturer. 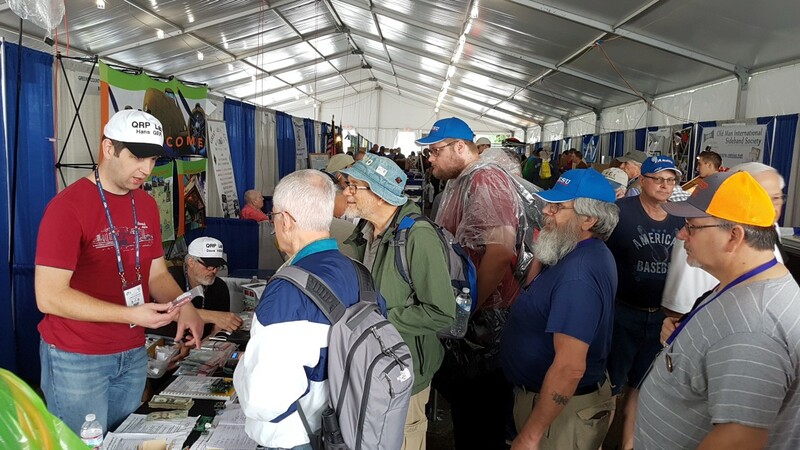 Four Days In May (FDIM) is an annual gathering of QRP enthusiasts taking place in Dayton OH, US alongside the famous Dayton hamvention. This year, QRP Labs' Hans G0UPL presented the first of the FDIM seminars on Thursday 17-May-2018 with the title "Modern QRP Rigs and the Development of the QCX CW Transceiver Kit". The Slides and conference proceedings article are available (see below) and the presentation audio was recorded by the Ham Radio Workbench podcast. QRP Labs also had a table at FDIM vendor's evening and a booth at the main hamvention. It was great to meet so many QRP Labbers! Dave VE3KCL (a.k.a. "Balloon Dave") and Hans G0UPL manned the booth (see right). Thanks for all the help Dave! We were very busy. FDIM seminar slides "Modern QRP Rig and the Devlopment of the QCX kit"
Accompanying FDIM conference proceedings article - this is an in-depth article, 40 pages long, detailing many aspects of the QCX design, including how to get the Si5351A to produce a glitch-free perfect 90-degree quadrature oscillator signal on two of its outputs. 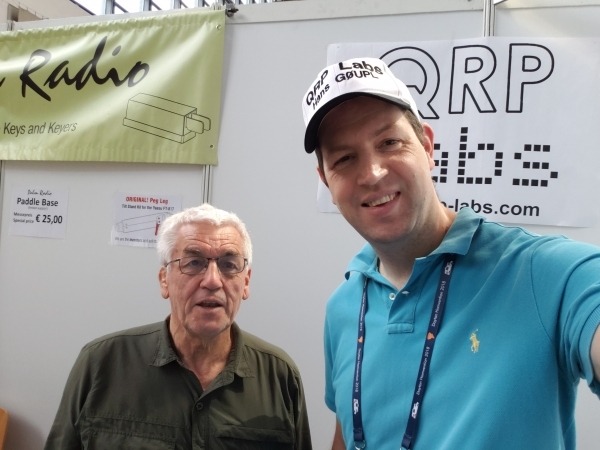 QRP Labs had a booth at Friedrichshafen, Germany, right next to good friends Palm Radio (keys). It was another hectic 3 days, but a huge amount of fun! Left: Hotel DL9SCO (Thanks Hannes for all the help, accommodation, and good laughs). 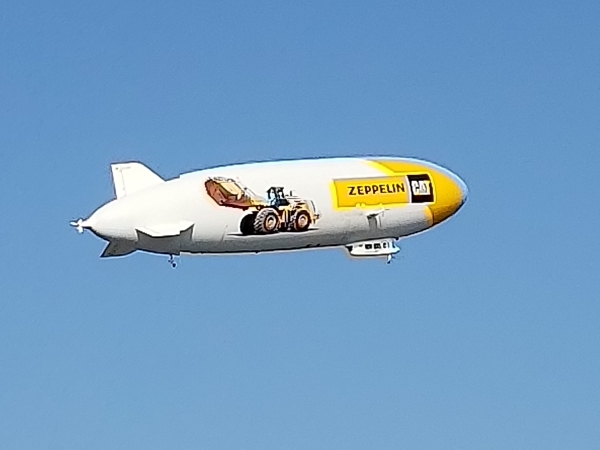 Right: Friedrichshafen is also home to the Zeppelin! Tours available (not tried). Amazing SOTA station by Luc ON7DQ. 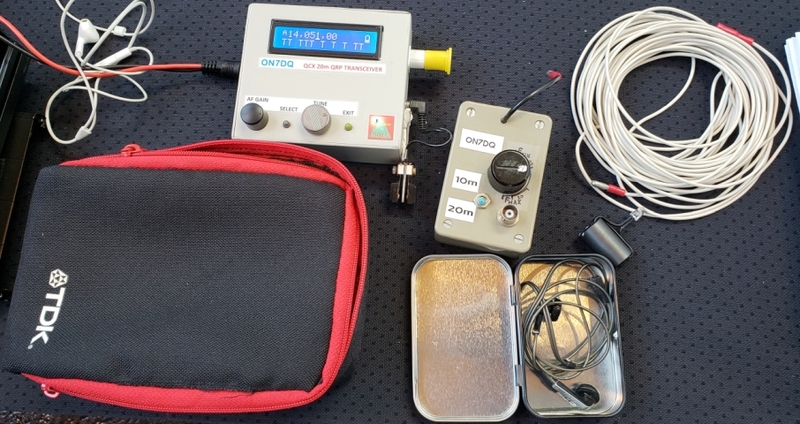 It includes a QCX CW transceiver kit built for 20m, in homemade enclosure; carrying case, earphones, endfed wire anteanna, matching unit, homebrew paddle, and through-ferrite LED SWR indicator. Wolfgang OE1WBS showed me his QCX kit, with his own 3-D printed angled replacement for the supplied 12mm nylon spacers. This puts the LCD at a comfortable 45-degree angle! QRP Labs is a proud sponsor of the QSO Today Podcast. Some time ago, QRP Labs' Hans G0UPL was QSO Today's episode 125 see https://www.qsotoday.com/podcasts/g0upl. For episode 193 QSO Today met Vjollca Z61VB and you can listen to this fascinating episode here: https://www.qsotoday.com/podcasts/Z61VB . 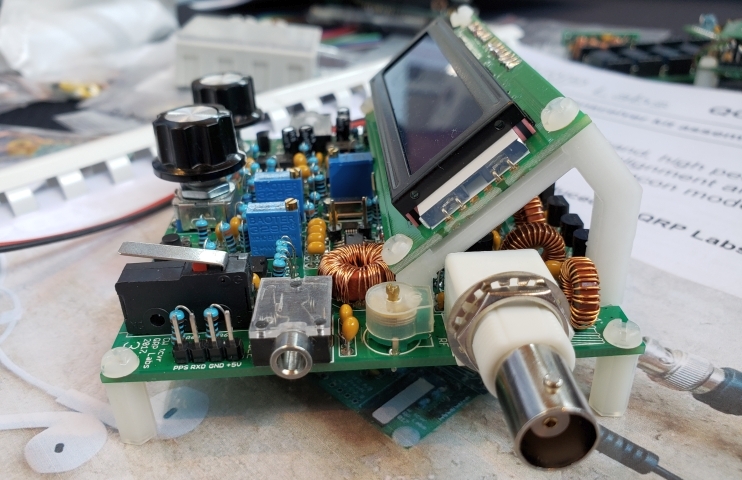 In the May newsletter I reported that Eric Guth 4Z1UG would be donating several QCX 5W CW transceiver kits to Vjollca's Pristina University's radio club, to help re-birth amateur radio in Kosova. QRP Labs matched these donations one-for-one and we invited donations from other QRP Labs customers. Many thanks to Eric 4Z1UG and all other donors of QRP Labs kits for making this possible. Vjollca is very happy and will be able to use these 22 QCX kits in her Winter semester. 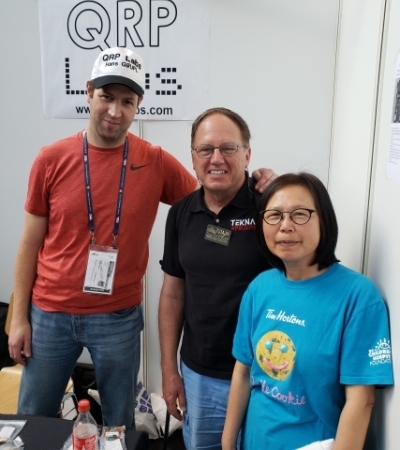 QRP Labs' Hans G0UPL was interviewed by Ham Radio Workbench podcast at the Dayton hamvention and you can hear the interview here https://www.hamradioworkbench.com/podcast/2018-hamvention-interviews near the start of the podcast. After sending out 182 of the QLG1 GPS kits manufactured in the latest batch, it was determined that the entire batch were faulty. They did not produce any 1 pulse-per-second output. This was a chip manufacturer error. Garland K6GOG was able to perfect a method of using a Raspberry Pi to re-flash the firmware of the QLG1 GPS chip. This produced can be undertaken by anyone with a Raspberry Pi, we have documented the procedure here http://qrp-labs.com/qlg1/gps2018.html . There is no problem with any QLG1 GPS kit currently being shipped by QRP Labs. We have set up a re-flashing facility here in HQ using a first edition Raspberry Pi, VGA monitor fortuitously purchased in the Dayton 2018 hamvention fleamarket for $5, and a $3 HDMI->VGA adapter. We have also attempted to contact all 182 owners of the defective units, and offer them all a replacement unit if they wish. There are still several people who have not replied; perhaps these have re-flashed their units according to K6GOG's procedure http://qrp-labs.com/qlg1/gps2018.html but, if you have one of these defective units (no 1pps output), if you did not see the email, but if you ARE reading this newsletter, then please get in touch. 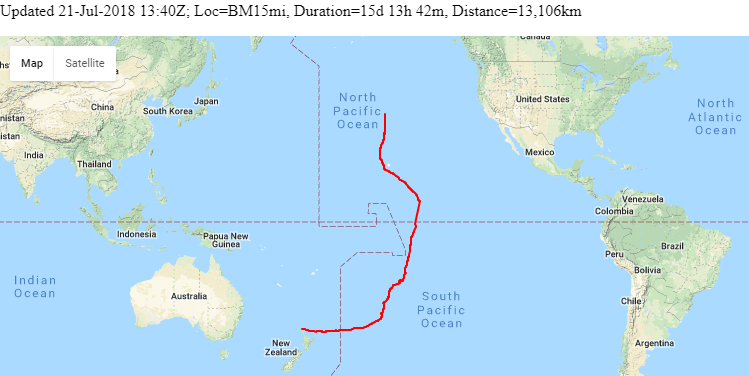 "My Dream" is a trans-Pacific sailboat voyage by Dan KI7UBD, using an Ultimate3S QRSS/WSPR/Etc transmitter kit with QLG1 GPS receiver kit for tracking. with assistance from Bob ZL1RS. The system transmits "extended" WSPR with 6-character Maidenhead Locator on the 30m band, with 2W transmitter power to a whip antenna. Live tracking is hosted by QRP Labs at http://qrp-labs.com/mydream . You can read more details about the voyage, installation and more, at http://qrp-labs.com/mydream . Dan and his crew set sail from New Zealand on 07-May-2018 and stopped briefly in Tahiti and Hawaii for supplies. They are now on the final leg of their trip to US. The Ultimate3S kit tracking has worked very well so far! 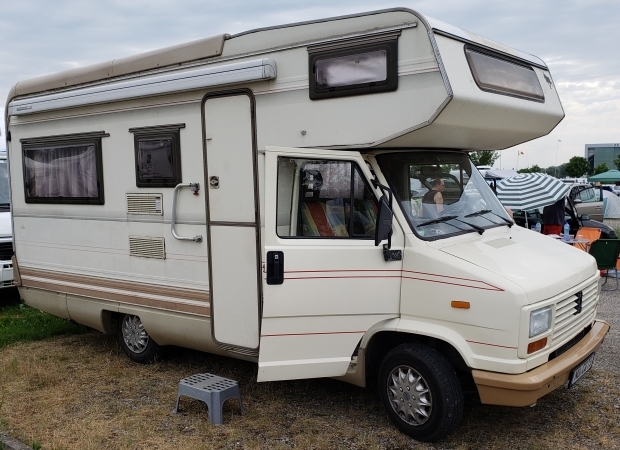 There have been lots of QRP Labs balloon flights since the last newsletter... below is a round-up of some of the interesting flights and paths, including two circumnavigation flights by Dave VE3KCL. Much of the Northern hemisphere is experiencing an unusually hot summer, with drought and high temperatures creating many new records. Aside from the obvious underlying long-term global warming potentially making such events more commonplace, the most likely immediate culprit is that the jet stream is not flowing quickly this year. This can also be seen in these high altitude balloon flight paths. Normally the jet stream flows at around the altitude of these flights, flowing by-and-large from West to East and driving the global weather systems. This is why we usually see the balloon flights fly generally East. Maybe a little up and down oscillations but the trend is clearly towards the East. When the jet stream slows down or stops, it allows areas of high pressure to stay in one place for an unusually long time, allowing hot weather to stay and intensify. This theory can quite easily be seen in some of the balloon paths - circumnavigations which have taken much longer to complete than usual; or unusual balloon tracks. See more below! Bob ZL1RS's first circumnavigation flight, BB05 went on to complete another circumnavigation. The flight used the special modified Ultimate3S kit firmware on a custom-made lightweight PCB. The balloon was a larger-than-normal custom-made balloon envelope flying high at around 13,000m. See http://www.qrp-labs.com/flights/bb05.html for photos and more details! The whole path is shown below. The balloon flew for about 6 weeks before landing in the South Atlantic ocean on 06-Jun-2018. No problems for BB05, flying in the southern hemisphere. Jim N2NXZ's U3S25 flight flew as far as Kyrgyzstan but took 15 days to do so and executed a little loop in the North Atlantic. Quite a slow flight. See http://qrp-labs.com/flights/u3s25 for details. U3B17 is the 17th in the U3B test flight series. It was launched on 30th Aptil and made it back to Canada in 22 days, but was not quite able to complete a circumnavigation! It made a very slow Atlantic crossing. See http://qrp-labs.com/flights/u3b17 for more details. U3B18 was the 18th in the U3B test series and was launched on 06-May-2018. It cruised at around 10,000m for over 31 days and did complete a circumnavigation, but it took a very interesting path, way up North. It is another demonstration of the unusual jetstream patterns this year. See http://qrp-labs.com/flights/u3b18 for more details. U3B19 also completed a circumnavigation and flew for almost a month. Again it took an usual Northerly path on the first lap. See http://qrp-labs.com/u3b19 for more details. Even more fascinating was U3B21, launched on 12-Jun-2018 and flying for just over a month; this flight executed a huge loop over Asia. It is very unusual to see a balloon flight at this altitude (around 10,000m) fly so far back in a Western direction. It finally landed somewhere in China on its second huge Asian loop! See http://qrp-labs.com/flights/u3b21 for more details. U3B33 was launched on 07-Jul-2018 and has taken another unusually wiggly path; it is still flying, now far up North near Alaska but is turning back for some loops before perhaps coming home for a circumnavigation. See http://qrp-labs.com/flights/u3b22 for more information, photos and LIVE TRACKING. Social media: QRP Labs has the following presence on social media. If you use these social media then please join or follow QRP Labs! Announcements such as new products, balloon launches, etc., will be made first in these media! Feedback: As always, please do write with any comments, ideas, criticism, feedback of any kind! Unsubscribing: If you want to unsubscribe from this monthly newsletter, then either log in to your QRP Labs shop account and un-check your newsletter preference, OR, email and we'll take care of it.